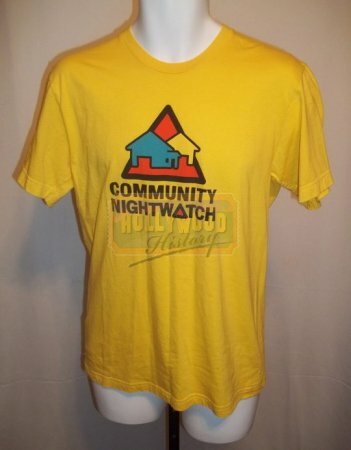 Zohan's (Adam Sandler) Community Night Watch Shirt [ZCNWS] - $260.00 : Hollywood History Online, Discover the Magic and Bring Hollywood Home! 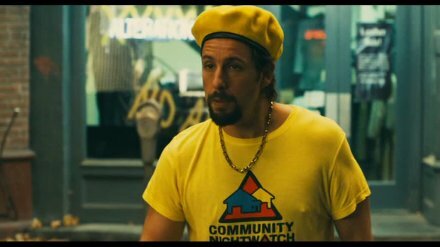 Zohan Dvir (Adam Sandler) is a superhuman but kind-hearted Israeli counter terrorist and the finest and most respected soldier in the Israel Defense Forces. However, Zohan has become bored and sickened by the constant fighting, secretly dreaming of moving to the USA and becoming a hairdresser. 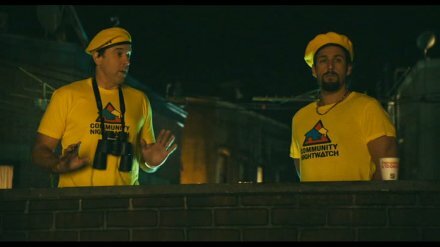 This shirt can be seen when Zohan decides to enagage in a "Cummunity Night Watch" to patrol the streets of downtown New York. The shirt is in great conditiona and shows only minor wear from film use.